Our country, after gaining independence, hasn’t had to solve such problems and that’s why it seems valuable to look at the experience of Vietnam, which has been reunited into the Socialist Republic of Vietnam. The object of this work is the process of restoration of the unified national cultural space of Vietnam, the subject are the problematic areas of this process, as well as the ways and methods used to overcome these difficulties. The task is also to assess the possibility of using Vietnamese experience in Ukraine. In August 1945, after the official surrender of Japan, an event later called the August Revolution happened in Vietnam, which resulted in a public renunciation of Emperor Bao Dai from throne in favor of the Viet Minh government, which proclaimed the independence of Vietnam and the establishment of the Democratic Republic of Vietnam on September 2, 1945. However, the Vietminh government gained control only over the territory of northern Vietnam, while the southern territory was still under the control of the French colonial government, and from the end of 1946 an armed conflict broke out between Vietnamese and French colonial administration. In this First Indochina War France was defeated, but in 1949 the French Government approved the unification of Cochin China with the rest of the territory of Vietnam, giving it the status of autonomy as an associate member within the French Union. The Geneva agreements, signed on July 20, 1954, put an end to the war and guaranteed Vietnam peace, independence and territorial integrity. In accordance with the agreements, Vietnam was temporarily divided into two parts along the 17th parallel. According to the agreements reached, in 1956 it was planned to hold general elections throughout Vietnam to resolve the country’s unification, but the elections were delayed on the initiative of Southerners, who had certain guarantees from the United States and France. Therefore, Ngo Dinh Diem (President of the Republic of Vietnam) actively opposed the elections for unification, creating the Republic of Vietnam and 50 proclaiming himself the president of this state. But in 1955, with the filing of the United States, the illegitimate referendum was held in South Vietnam and at the head of the newly formed “Republic of Vietnam” put a puppet government headed by Ngo Dinh Diem that the United States immediately recognized and the UK, later – France and then began the intervention of the US troops that were opposed by associates of Ho Chi Minh. One cannot deny the fact that for a long period, during which Vietnam was under the control of the French colonial government, Vietnamese people adopted many of their “landlords’ ” ideas. Many innovations were perceived rather positively, but Vietnamese continued to lose their identity, which subconsciously always meant a lot to them, they were slaves, although it seemed that the French government provided them with all sorts of benefits (if they work for the French colonial government). However, the government remained authoritarian and had a dictatorial character, which led to a struggle among various sections of the population (especially the peasants). In this situation, Vietnamese began to think about communism, but not because it promised equality among the population, but because it promised freedom from the French colonists. Communist ideas came to Vietnam from the PRC and were close to the ideas of Confucianism, which impressed Vietnamese and against which French government acted. The French administration also sharply opposed the USSR, especially after the Battle of Dien Bien Phu in 1954. Active hostilities continued in Vietnam until 1975, until the government of the South finally capitulated. The war left a deep imprint on the hearts of people and affected relations between the North and the South. Even to this day, for example, the Vietnamese in the South do not recognize the Hanoi dialect until the end, and, although it is national, they teach many Vietnamese words and even sometimes grammar in their own way. There was a period when poets of the South who wrote against the communist authorities were prohibited by censorship, and writers themselves were punished by the authorities. We can also note that after the adoption of communism the Vietnamese stopped studying letters in Chữ Nôm, on which were written many works and historical documents telling us about the history of Vietnam. Having gained independence, Vietnamese to some extent lost their identity and only now they are gradually thinking about the return of the once lost cultural heritage. The end of the war and the victory of the Northern Government meant freedom for Vietnam within its borders, which many people were not ready for, the people faced the problem of rebuilding the state. The government of the North was initially not ready for a full control over the entire territory of the republic, therefore it prepared a draft of a dual government in the North and 51 South. After the unification of Vietnam, the government of the North amnestied all Vietnamese who fought on the side of the US (except those politicians who were accused of crimes) and announced a new policy on the settlement of new territories of Vietnam to promote the economic prosperity of the country. The Vietnamese government developed and implemented an ideology (based, for obvious reasons, on socialism) aimed at uniting the country, emphasizing that “the two territories have more similarities than differences, and with differences it is necessary to struggle to become a one socialist organization “. About 5 percent of the population of the South decided to emigrate to other states. At the same time, the government did not prohibit immigration, but obliged them to pay $ 2,000 of compensation in gold and this was the main source of the Vietnamese hard currency after the unification. Vietnam has survived a long period of rehabilitation and continues its development, which cost enormous human losses. Only since 1985 with the introduction of the policy of Doi Moi and the active participation of Nguyen Duy Cong, the country began its path to improving the economic situation. The experience of Vietnam can indicate to Ukrainians the way to the rapprochement of the divided territories, as well as problematic places along this path. 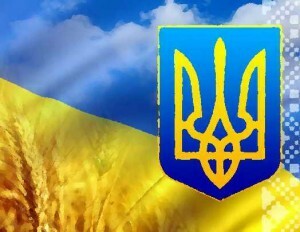 Ukraine today has the opportunity (of course, taking into account the fundamental differences between the socialist Vietnam and our country that has chosen the European scenario of development) to consider the experience of the Vietnamese, who, despite the circumstances and objective difficulties, have achieved much in the formation of a one cultural space at once divided territories.